Picking 50 albums was by no means an easy choice. Lots of debates between editors and writers preceded this list, but we're truly appreciative of the work that was released the past twelve months, and confident that this will do the year justice. 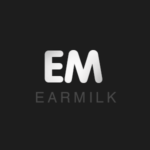 We're incredibly blessed with amazing music providing milk to our ears, and grateful towards the incredibly talented people that have provided it for us. It's easy for us to go on and on about how great 2013 was musically, but that lets be honest, everyone wants the list to get started right? 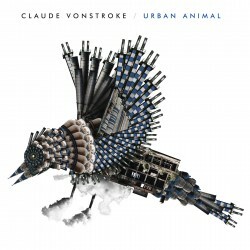 Claude VonStroke, founder and label head of Dirtybird Records, continues to prove that he is a Jedi master in the studio with his latest hard-synth-heavy album, Urban Animal. 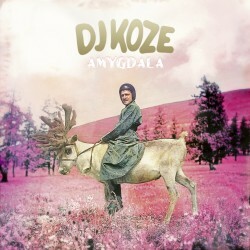 The record is a testament to his eclectic interests and idolization of the latest underground music from the likes of The Gaslamp Killer and the Brainfeeder family. 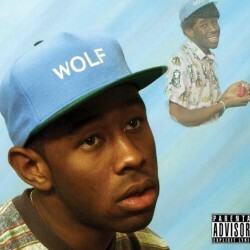 Tyler, the Creator's WOLF is an exhilarating journey of self-discovery. On one hand, the Odd Future general battles between featuring the shock value, counterculture persona that thrust him so suddenly into the spotlight or the fantastically unique production value that has managed to keep him there. On the other, he is analytical of his success, aware of his contributors, leery of his detractors, and simultaneously conscious of potential pitfalls. He manages to somehow not take himself too seriously, even in the wake of his growing profile. 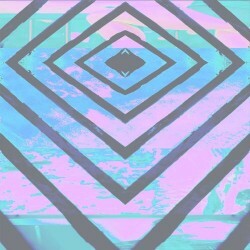 WOLF packages this great sum of data into an array of meticulously crafted yet widely varied tracks that seem almost jumbled to the untrained ear. In other words, the album is Tyler’s journey to find balance amidst the chaos that is his cluttered and often genius mind. With his majestic style and sound, perfected by his strange persona online, Ryan Hemsworth has managed to find himself as the most interesting of the Hemsworths (Chris and Liam being the obvious others (no blood relations have been made public)) to those with ears and a penchant for great production. He’s slowly built his cult-like following through edits, EPs, and remixes that range from Danny Brown to Pipes, and his Still Awake EP projected him into a must watch producer this year. 2013 has been great for Hemsworth, with the latter half of it seeing critical success come in the form of Guilt Trips, his debut LP on Last Gang Records. The albums perfection comes in its ability to satisfy everyone, including himself. Hemsworth obviously pushed his limits, venturing into influences of hip hop, dance, and even the likes of J-pop, poking through boundaries of everyone involved, but pulling it off perfectly so. 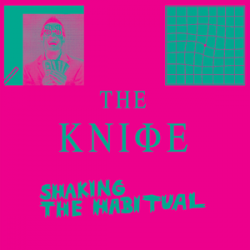 Having come to know The Knife through their weirdo-pop forays like "Heartbeats", "Pass This On", and "Silent Shout", Shaking the Habitual took me – and many of my friends – by surprise. Four years ago, when beginning this electronic adventure, I stumbled across this guy while listening to a mix off one of my favorite sites. 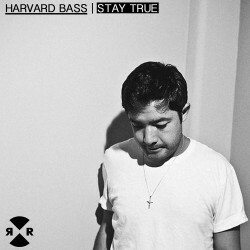 On top of the free download, the seeming incongruence of Victor Ramos’ stage name, Harvard Bass, caught my attention and kept his releases at the forefront of my list. 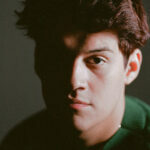 As the years passed, Ramos’ sound keeps stripping down, becoming more minimal with every listen. Last year saw him produce with one of the biggest names in techno, Green Velvet on the track “Lazer Beams”, a feat that repeated this year in his debut album, Stay True. 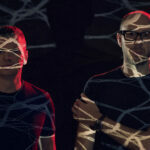 Their debut in 2010, Crooks & Lovers treated the U.K. electronic scene to something that was beautifully restrained and simple which was rather crudely called post-dubstep. Mount Kimbie fans would’ve been contented with an album of similar sounds and feel but this would’ve been playing it safe. Kai Campos and Dom Maker move into a darker realm playing with RnB, jazz, organs, sonic mulch and fuzz to bring a more emotional approach to Cold Spring Fault Less Youth. 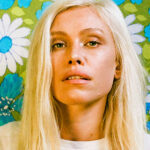 This has led to an unlikely collaboration with King Krule as the duo explored different avenues including vocals. 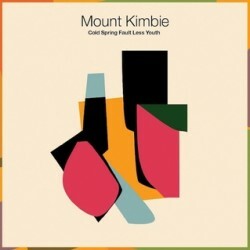 This is a deliberate departure from their earlier work with Campos stating that “at some point you’ve got to take a step back and say, ‘This is no longer what I want to do.’” Former guest member of the band, James Blake, who also features on this list has similarly detracted away from this sound but not to the extreme Mount Kimbie have. 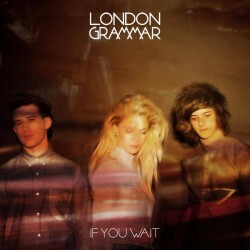 It's one thing to be mentioned on almost everyone's list for top albums of 2013, but London Grammar not only propelled themselves with their first studio album If You Wait, but also made an appearance on Disclosure's "Help Me Lose My Mind," displaying the band's versatility in the modern game of music. With a polite yet still alternative influence on their music, the group has been hailed this fall as an accelerated style that is sure to make a substantial dent. If You Wait is a beautiful arrangement of music, weighing more heavily on the lucid dreaming side, with touches of classical instrumentation and romantic lyrics. The lead vocalist Hannah Reid successfully gives her audience multiple cases of the chills, with creeping lyrics on songs like "Strong" and "Hey Now." 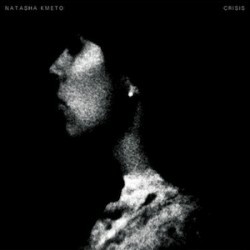 Her Nottingham University classmates and bandmates Dot Major and Daniel Rothman express their true talent throught the album's glory, displaying the true nature between indecision and action. For an artist who's name has been in the spotlight for less than five years, the cultural impact that has been A$AP Rocky (along with the entire A$AP mob) has been startlingly massive. While it may seen like the rap world has changed vastly since we were counting down the days until Long.Live. 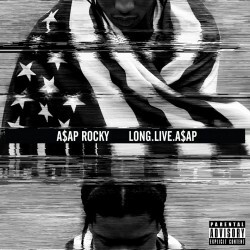 A$AP had dropped, it was in fact only a mere year ago when we saw his debut LP come to light. No one could ever argue that Rocky by any means is the strongest in either lyrical content or flow, but what he brought was a style that was hard to ignore. Slightly hypebeast-ish but pulled off brilliantly, every girl wanted to be with him, and boys wanted to be just like him. 2013 saw the release of his debut, which only further accentuated how swagged out Rakim Mayers truly was. He brought edge to fashion and made rap glamorous without feeling like it was peacocking like a douche. He was having fun, and sometimes thats the perfect recipe for a solid album. What is also interesting is how important is music has been overall- he lead the way in East Coast hip hop reaching the success it has for the past two years. His success certainly brought eyes back to New York to see what other talent was brewing there (and believe us, we found plenty). Fascinatingly enough, there's also a testament to Rocky bringing some attention back down south, where the original syrupy, purp-influenced music of the day would gain an international platform not seen since the days of the Dirty South. Over the last four years, Ryan Raddon has risen to fame through masterful releases, commanding stage presence, and devoted fan following. Better known as Kaskade, the Chicago-native house artist released his first full album, It’s You, It’s Me, 10 years ago on San Francisco’s OM Records. 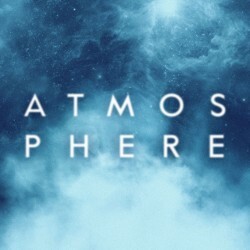 For a producer now known for massive electro progressive sets, Raddon’s deep and minimal past never strays too far and shines through in this year’s album, Atmosphere. 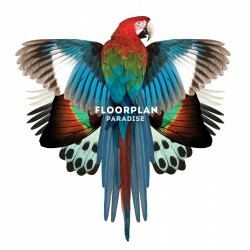 Followers knew that Kaskade’s 8th full-length studio work would mix past and present, as both the preceding album and his 2013 tour schedule saw the artist balance progressive highs with deep lows. His UMF set in March opened with the title track, a self-sang ode whose drop set old and new fans’ hearts on fire. While a handful of other songs followed in the blood-pumping veins of “Atmosphere”, namely “Last Chance” with Project 46 and my personal favorite “Why Ask Why” with his band Late Night Alumni, the majority of the album played on instrumental melancholy. 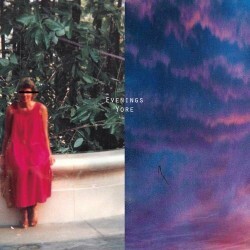 Heavy piano and strings, drum machines, and captivating vocals stitched together many tracks, ranging from the hauntingly beautiful remix of “No One Knows Who We Are” to Debra Fotheringham’s soothing serenade in “How It Is”. And of course deep house gets a revival in Kaskade’s homage to the DJ lifestyle, remembered by airport designations, like “SFO to ORD”. Nicholas Jaar has been a focal point for experimental dance music since his days at Brown University, where he was blurring the lines between dance and minimalism. His youth was filled to the brim with artistic boundaries being pushed to the edge, and the world could only stop and stare as we wondered “who the hell is this young kid?” Of course, the world did eventually come to know more information, but thats neither here nor there, because his artistic lineage only strengthened what we had already figured out about this producer- this kid was going down in the books. 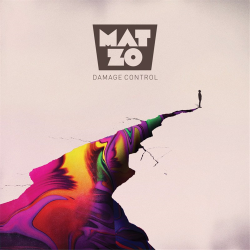 Mat Zo’s first shot at the BBC Radio 1 Essential Mix not only boasted a lengthy 70-track offering, it proved to be the sneak preview to his debut full-length, Damage Control. When the album finally dropped in early November, it showed off Zo’s wide-ranging talent in a variety of production styles. 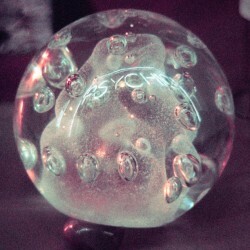 One of the most essential albums of the summer of 2013, Classixx’s Hanging Gardens encourages warm weather and the free-spirited fun that comes along with the rising temperatures. 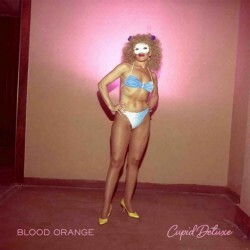 The LA duo, consisting of Tyler Black and Michael David, built a name for themselves with a plethora of remixes that includes artists such as Holy Ghost, Phoenix, Major Lazer, Gossip, Drop the Lime, and many others. 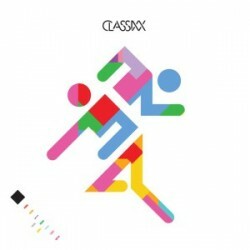 Sticking to a highly danceable blend of disco, new wave, house, and indie pop, Classixx have secured their spot as a go to for nu-disco djs. 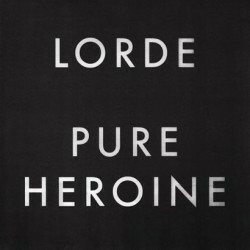 Lorde is rather obviously fascinated by social construct, and her debut is peppered with critiques of class and status. But she examines the socio-political landscape the way any teenage girl might: addressing the problems without presenting any real, tangible solutions. She never sets out to be preachy, just cognizant. It's less about telling and more about simply knowing, understanding, and comprehending — actions birthed out of curiosity. Curiosity is heightened for the hormonal, and everything Lorde endeavors to accomplish starts and ends with defining what it's like to be young in the information age, where the ability to satisfy such insatiable curiosity is easier than ever (often to a fault). When she sings about the trappings of wealth and classism, it's not that she wants you to get it, it's more so an attempt to interpret her own feelings aloud the same way thoughts and feelings were once pondered in journals and are now plastered on Twitter, and ironically enough a lot of the issues she seeks to grasp were created or further perpetuated by Internet age bred narcissism. In essence, this is a true dot-com era album, one that is as much a product of its magic as it is of its flaws. 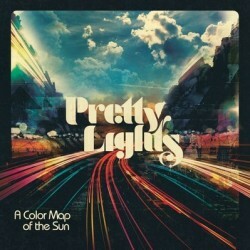 After almost three years without an official project, Pretty Lights returned with a bang, drum, bass and then some in 2013. Debuting at #2 on the Billboard Dance/Electronic charts, A Color Map of the Sun not only took Derek Vincent Smith to new heights, it put him on a Pop like level, making him almost seemingly a house hold name. 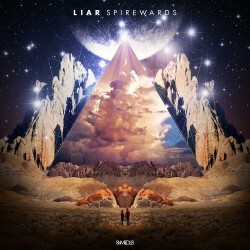 The double-disc album was released back on July 2nd under 8 Minutes 20 Seconds Records in both physical and digital form, and has continued to gain praise since then, more recently receiving a nomination for Best Dance/Electronica album in the 2014 Grammy's. 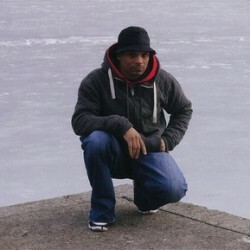 This served as Smith's first time composing and producing all of his own material and was more of a personal challenge he says, just to see if his goal could be completed. Well, it's safe to say he did that and then some, turning this into something that is clearly destined to be labeled a classic in his genre someday. Fans also got to go behind the scenes and see the making of the album and watch the process of his creativity and mindset unfold as he released a documentary the same day of the project's release. Only time will tell where this will live in the world of EDM, but one thing is for sure; Pretty Lights is shining bright and 2014 is going to require a serious pair of shades when watching his move up the ladder to greatness. Boys Noize Records wonderchild SCNTST is not even of drinking age quite yet, but his debut album has stunned everyone this year for its mature take on techno and electronic music. Young age is nothing new in music, or even this list for that matter. A majority of the people here haven’t hit their third decade, and for god’s sake, Lorde is a mere sixteen. What makes SCNTST so special, however, is his how eloquently he’s managed to balance the various influences he obviously has into a blend and style that’s entirely his own. There is something so stunning and spectacular about Self Therapy, and it’s incredibly difficult to put it into words. Every track brings a sense of nostalgia for a dreamy time that never was and his music can be best described as chicken soup for the soul. 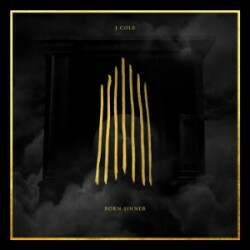 J. Cole wasn’t looking to reinvent the wheel with Born Sinner; rather, he gathered a plethora of traditionally successful styles, carefully fused them together, and put his own finishing spin on the foolproof concoction. Since it was released the same day as Yeezus, it was the beneficiary of unfavorable comparison to the abrasively challenging album. However, its records sales proved that fans were still listening, perhaps even eagerly awaiting a return to the sounds they originally fell in love with, which Cole gladly provided. 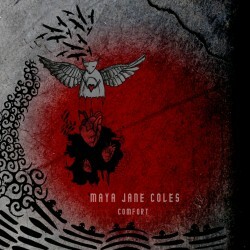 This concludes out first half of top albums. Which one of your favorites have shown up so far? Make sure to count down albums 25-1 with us tomorrow! I like how Tyler, the Creator gets spot #48 with an album that contains a song called "48"